It’s got Shaquille O’Neal, Stone Cold Steve Austin, Andy Samberg, Milo Ventimiglia, Taylor Lautner and Cheri Oteri. It even has one of Schwarzenegger’s kids. 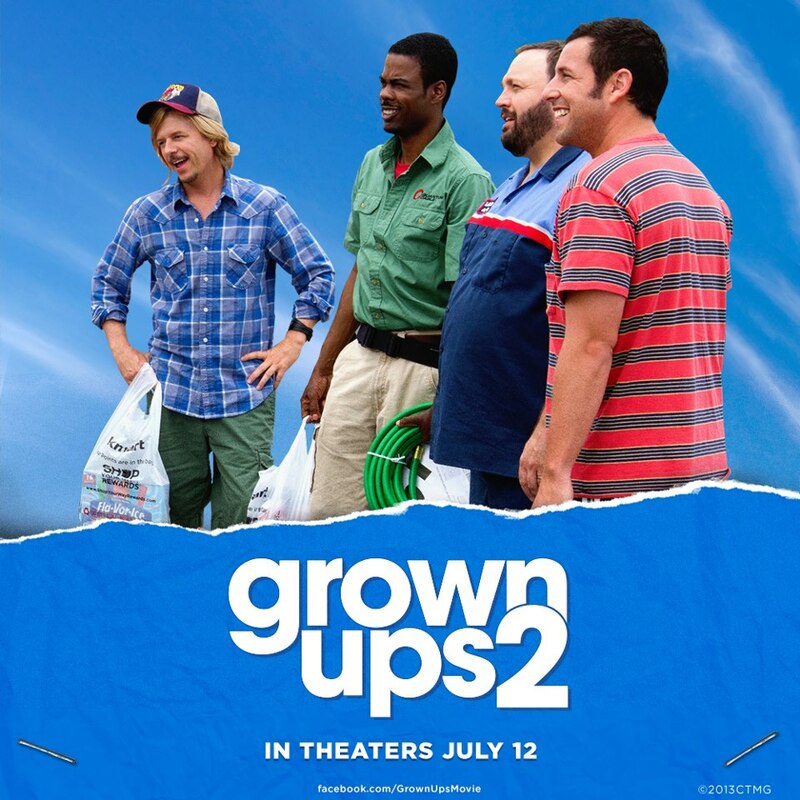 It even has Nick Swardson, doing what he does in every other film he’s been in. “Don’t do what I just did,” screams Rock as he recklessly backs his van into traffic, away from his son, who is about to undergo his driving test. Yes. These people are still raising kids. Sandler’s talent agent Lenny moved back to Connecticut, and everything is just fine. Summer is starting and Sandler is till vacationing with his friends, played once more by James, Rock and Spade. Schneider must have decided that he had an ounce of pride. They call it scheduling conflicts. Sandler’s wife, played by Salma Hayek, wants to have another child – and he doesn’t want to. Kevin James wants to watch soap operas with his mom (played by the delightful Georgia Engel). Chris Rock’s kid is going out with the son of his nemesis. Spade has a son that he is afraid of. There is an 80’s party. If any or all of these things appeal to you, then this is the movie for you. It’s undeniable that there are some real funny moments scattered throughout this mess. It’s still hard to conceive that any of these people are married to the people that these guys have been cast with, but what the hell, the kids are cute enough. In a wise choice, Sandler moves the story a bit more towards the kids. This is probably because the kids are better actors than the adults. None of the kids, however, have mastered the ability to sneeze, burp and fart simultaneously like James. Burt Reynolds made the worst movies of all time with his friend Hal Needham. These movies (including a couple of Cannonball Runs and Smokey and the Bandits). Those films were all hits, even if they were almost unwatchable. It boiled down to Reynolds and a bunch of his Hollywood friends (not necessarily actors) just hanging around, doing what they thought was funny. Same thing applies here. They even have the same kind of knock down drag out fight. It’s just a bit funnier, but equally stupid. Previous Post Frozen: I love warm hugs!